Waiting until the last minute to prepare for tax season only leads to additional frustration and stress, as well as an increased risk of making costly mistakes. Luckily, there are a few easy preparatory tasks that streamline the process. Make a list of the mistakes you have made in the past, as well as what you found taking you more time than it should. Then, devise a system that will make you more efficient. Most individual income tax returns require additional forms beyond the 1040. For example, you may need your W2, 1099s and other documents for sources of income. Those who are foreign nationals without a social security number and not eligible for one also will need an ITIN, or Individual Taxpayer Identification Number. You will want to fill out a W7 Form and submit your ITIN application well in advance to ensure that you do not miss anything. Mark the tax deadlines in your calendar early. In general, individual tax returns and payments are due on April 15, and you can easily get an extension to file (but not to pay) for October 15. With the new tax code, most people will not qualify for itemized deductions, but it is still a good idea to organize your receipts throughout the year in case you need them. Also, make a list of all the different income sources you may have, such as interest from bank accounts, mutual funds, employment and contract work. Some people can easily do their own taxes, but those with more complicated taxes or who may be doing it for the first time may want help. 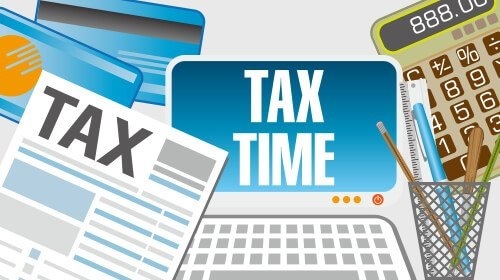 Before the tax deadline looms, start to investigate your options, such as a tax preparer, a tax preparation software program or other assistance. Those who need to fill out an ITIN application may also find that working with a third-party can help them to navigate through the necessary documentation.